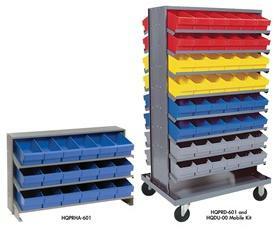 High density, easy access Pick Racks -- sloped shelving units. Sturdy steel racks with Super Tuff Euro Drawers create an efficient flow rack. Sloped shelving provides easy access to stored items. Drawers can be removed from racks easily. These gray baked enamel, free standing racks assemble easily. Mobile unit has a 500 lb. capacity and is equipped with 2 swivel, 2 rigid casters. 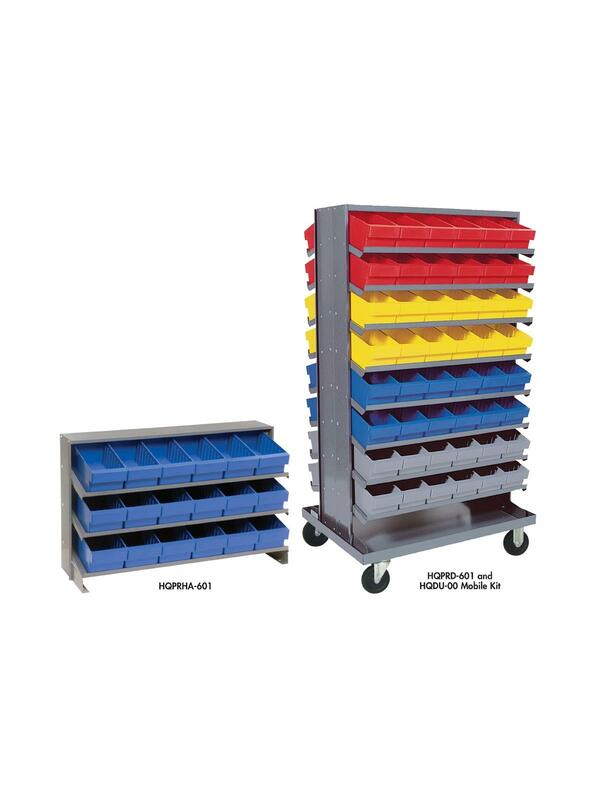 Drawers are available in Blue, Yellow, Gray or Red. One color per unit. FOB Shipping Point. All Double Sided Units available as Mobile Units with addition of Mobile Kit. See Related Items tab for Quantum Super Tuff Euro Drawer Dividers and Mobile Kit for Double Sided Pick Rack Systems.